Continuing my derive around New York, in this case the Bronx, and more specifically Morrisiania. No idea what the building that stands there now is called. 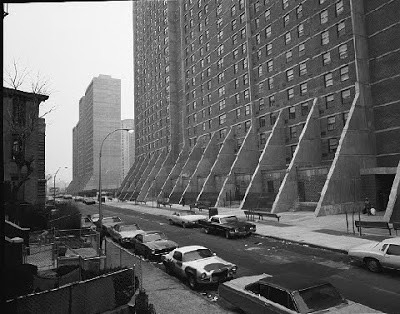 There is a "Daughters of Jacob Geriatric Care Center" across the road connected to this building with a walk way over the road. While thebuilding itself seems to be the "Church Alive Community Church"
What was the building that stood there before called ? "The imposing building on a hill at East 167th Street and Findlay Avenue is the Daughters of Jacob Geriatric Center, mostly built in 1920. Its 8 wings in a spoke arrangement are impressive seen from the air." 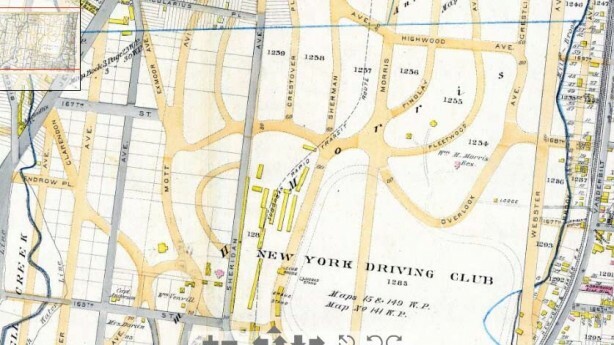 "The map of Morrisania was vastly different in 1887 than it is in 2011. 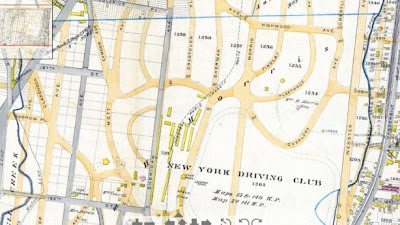 Before the current complement of streets was laid out along a rough grid pattern, the William H. Morris holdings were dominated by the New York Driving Club, basically a horse track. Equestrian culture in Morrisania went back to the 1750s, when the level land was used by General Staats Long Morris as a race course. William Morris rented space to a Dater Brothers in 1871, who built a race track that lasted briefly. 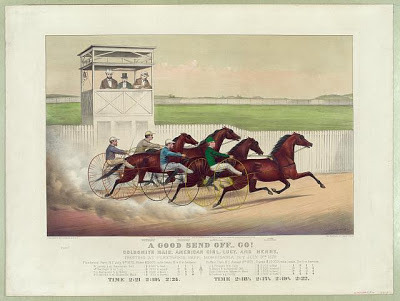 The NY Driving Club opened here the following year, and its trotting track, FLEETWOOD PARK , boasted an exclusive membership that included William K. Vanderbilt, William Rockefeller, and Leonard Jerome, whose own track in Kingsbridge was home to the Belmont Stakes. The Driving Park and Fleetwood Park closed in 1898, and development soon erased any trace of any former equestrian use." Nothing but a foundation remains to mark the site of the solid William H. Morris Mansion, whose stone walls stood ever since 1816 on the high ground at 167th street and Teller Avenue, overlooking the peaceful valley where once flowed the tortuous Mill Brook. 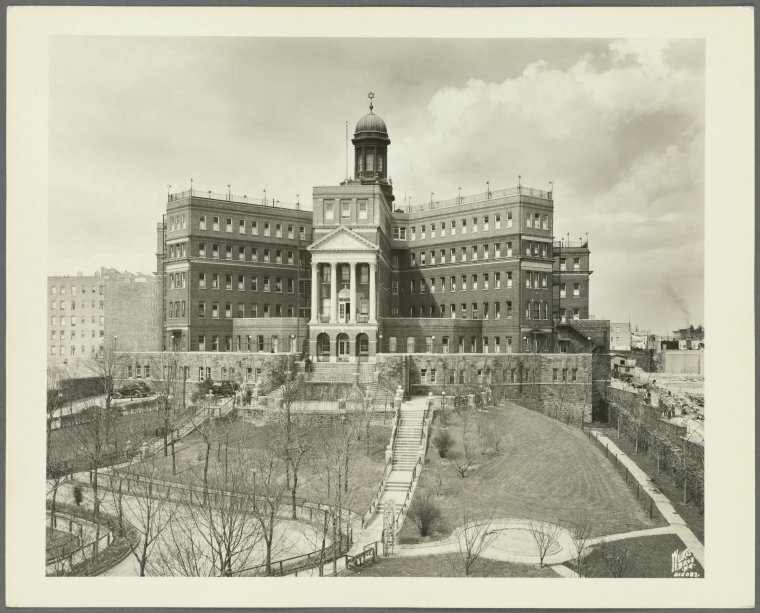 To the east was the old Morrisania Station of the Harlem Railroad, while toward the south lay the broad acres of that well-known rendezvous of all lovers of the turf, Fleetwood Park. A remarkable phenomenon presented itself in the hall of this great abode, there were no stairs! Broad and commodious as the hallway was, and extending from side to side, it was not until a small door was opened, apparently leading into a small side room, that the main stairway was disclosed, wending its winding way above. The owner evidently took no chances with possible nocturnal visitors of the early days. Lewis Morris, signer of the Declaration of Independence, was the eldest son of Judge Lewis Morris (see . 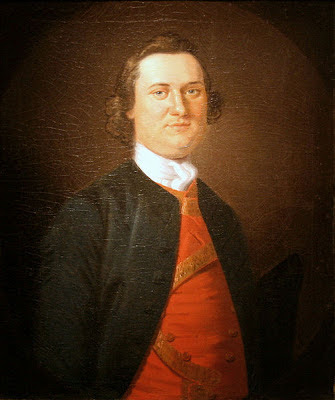 . . ), born at Morrisania in 1726, died in 1798; three of his sons served with distinction in the army and received the thanks of Congress, of whom Lewis was aide to Sullivan, and afterwards to Greene: James, the fourth son, married Helen Van Cortlandt, daughter of Augustus Van Cortlandt, and erected the great, square, handsome dwelling which stands upon an eminence near Fleetwood Park, the present residence of William H. Morris. The Morrises were all men of splendid physique.